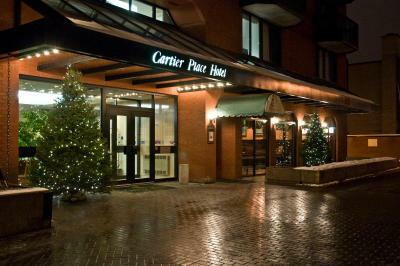 Lock in a great price for Cartier Place Suite Hotel – rated 8.3 by recent guests! Great location. Well equipped kitchenette. Good service at the front desk. The room was spotless. The bed was comfortable . Having kitchen facilities was perfect. We loved the pool, the room, the location, almost everything. Good sized rooms. We were able to be five comfortably in the two bedroom sweet. The hotel is a little dated but it isn’t an issue at all. The swimming pool is great. Super close to downtown. Beds very comfortable. Small family run hotel close to many restaurants. Staff amazing. Enjoyed the New Orleans restaurant on site. The location was great being in a quiet side street off Elgin ( despite construction on Elgin) with a great restaurant - Big Daddy’s serving a very reasonably priced breakfast. The pool was a great bonus as it was big enough for laps & had a hot tub too. A suit meant kitchen facilities which was also very handy. Staff were most helpful and friendly. The main street was under repair and i didnt know the hotel had its own parking garage so i oaid twice, once for outside lot parking then again for hotel garage parking. But overall, great place to stay. 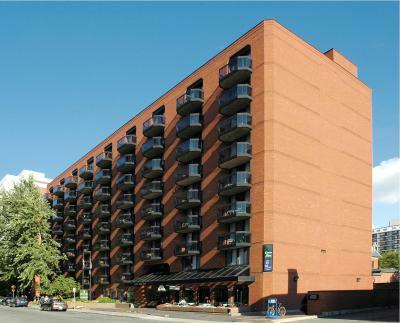 Cartier Place Suite Hotel This rating is a reflection of how the property compares to the industry standard when it comes to price, facilities and services available. It's based on a self-evaluation by the property. Use this rating to help choose your stay! 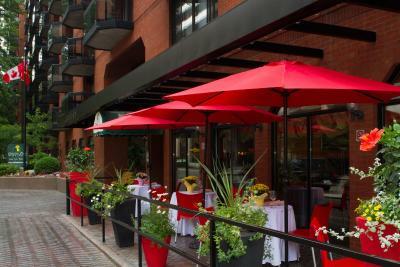 One of our top picks in Ottawa.An on-site restaurant and bar are featured at this Ottawa, Ontario hotel. 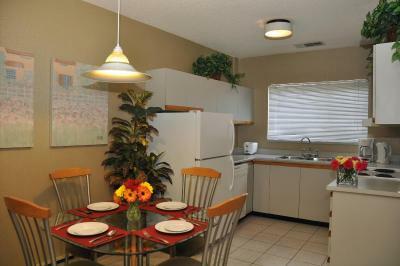 A kitchenette is offered in all suites. Free Wi-Fi is included. Parliament Hill is 0.6 mi away. 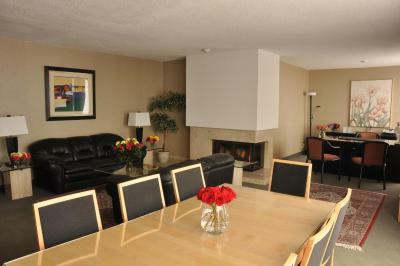 A flat-screen TV with cable is offered in all suites at Cartier Place Hotel. 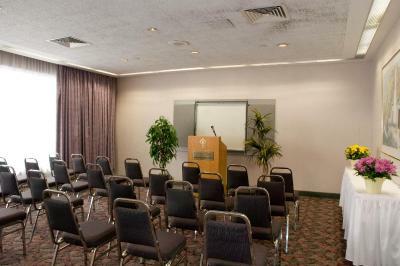 Each air-conditioned suite includes a seating area and desk. They also open out onto a balcony. Big Daddy's Bourbon Bistro featuring Louisiana style cuisine is located at the property. Vending machines offering snacks and drinks are also available on-site. 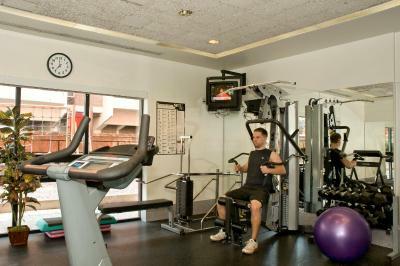 A fitness center and sauna are provided at Hotel Cartier Place. 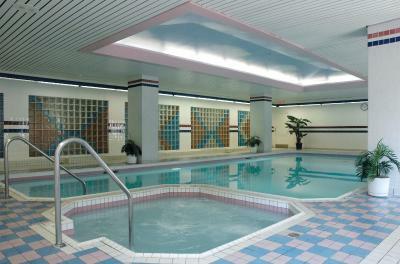 Guests can enjoy the indoor swimming pool and hot tub. 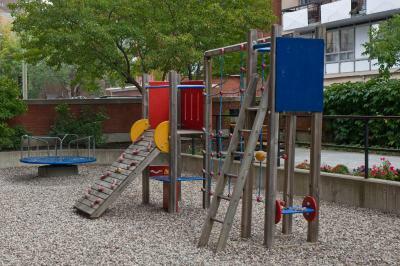 A games room and children’s playground are provided for entertainment. 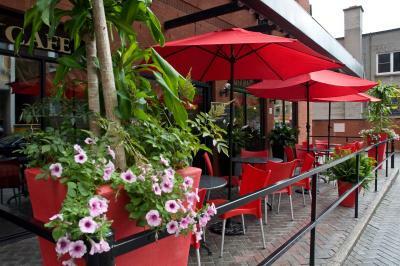 Byward Market is 8 minutes' drive away. Rideau Canal is 1,950 feet away. Parking is available at a surcharge. 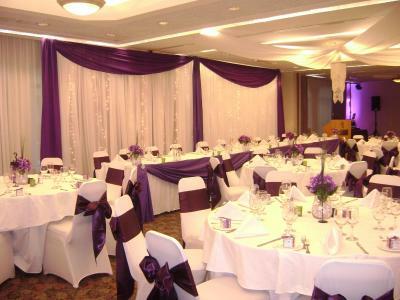 When would you like to stay at Cartier Place Suite Hotel? Opening out onto a balcony, this suite provides a separate bedroom, sitting area and full kitchen with stove, fridge and dishwasher. 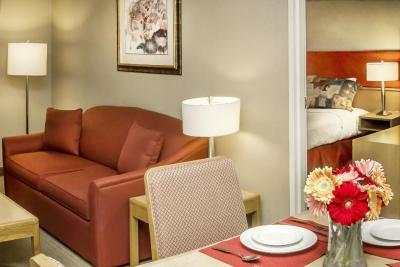 It features free Wi-Fi, an LCD cable TV, iron and ironing board. A hairdryer can be found in the bathroom. Opening out onto a private balcony, this suite has a separate bedroom, sitting area and full kitchen with stove, fridge and dishwasher. 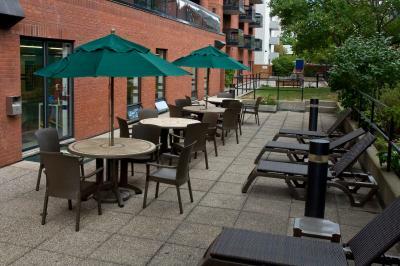 It boasts free Wi-Fi, an LCD cable TV, iron and ironing board. A hairdryer can be found in the bathroom. Opening out onto a balcony, this suite provides 2 separate bedrooms, a sitting area and full kitchen with a stove, a fridge and a dishwasher. 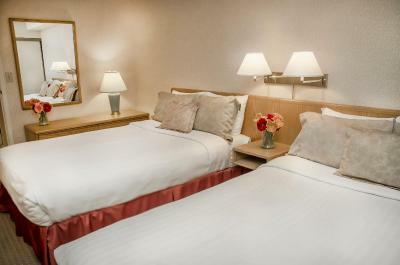 It features free Wi-Fi, an LCD cable TV, iron and ironing board. A hairdryer can be found in the bathroom. 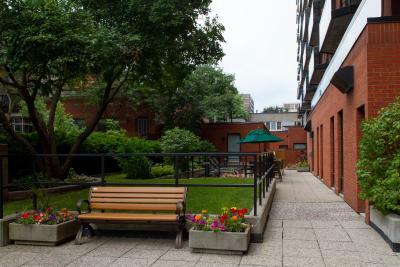 This suite offers a separate bedroom and a full kitchen with a stovetop, microwave, full-size refrigerator, cookware, dishes, utensils and a coffee/tea maker. There is a combined dining and living room with a double sofa bed. 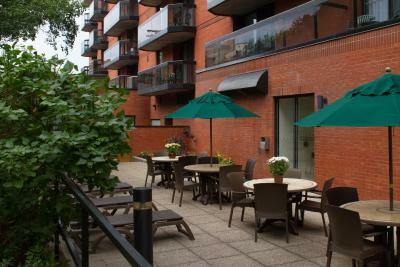 Guests will also find a private balcony. For added convenience, the suite contains a hair dryer, an iron and an ironing board. 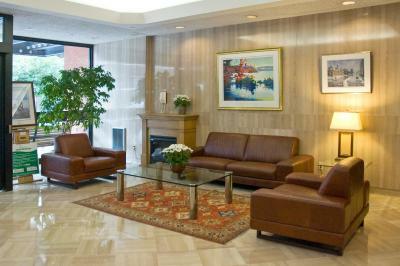 We are proud to be a family owned and operated Suite Hotel in downtown Ottawa. 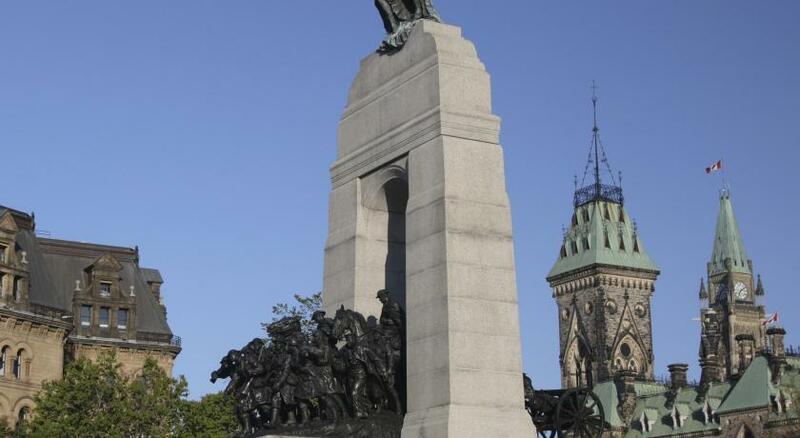 My father, a renowned Architect and recipient of the Canadian ‘Fellowship of Architecture’, had a vision. Since our family roots were from a hotel/Gasthaus in Germany that was passed down through the generations, my father wanted to design and manage a beautiful downtown hotel with all the traditional hospitality of his childhood. In 1974 the first section of our hotel opened with 72 suites and eventually became the 250 suite hotel you experience today. I have proudly carried on our family traditions with our staff that is now our extended family. The pride, hospitality and friendliness of our hotel are reflected in all our services as we strive to make your stay the most enjoyable. House Rules Cartier Place Suite Hotel takes special requests – add in the next step! 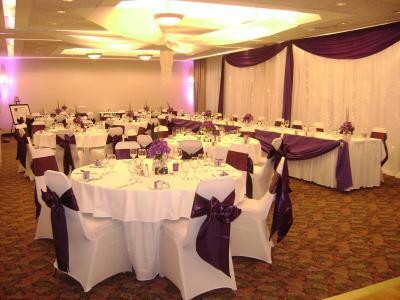 Cartier Place Suite Hotel accepts these cards and reserves the right to temporarily hold an amount prior to arrival. You must show a valid photo ID and major credit card upon check-in. Please note that all special requests cannot be guaranteed and are subject to availability upon check-in. Additional charges may apply. 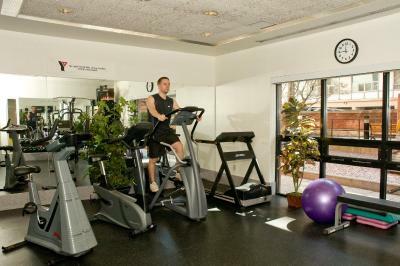 When booking 5 or more rooms, different policies and additional supplements will apply. These bookings may be fully pre-paid and nonrefundable. 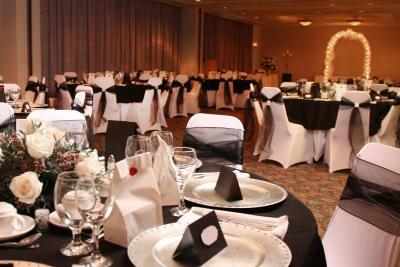 Please inform Cartier Place Suite Hotel of your expected arrival time in advance. You can use the Special Requests box when booking, or contact the property directly using the contact details in your confirmation. Room was very dusty: all three of us had allergic reactions, so we ended up leaving the balcony door open to keep clean airflow. Pool was excessively chlorinated (we stopped using it). 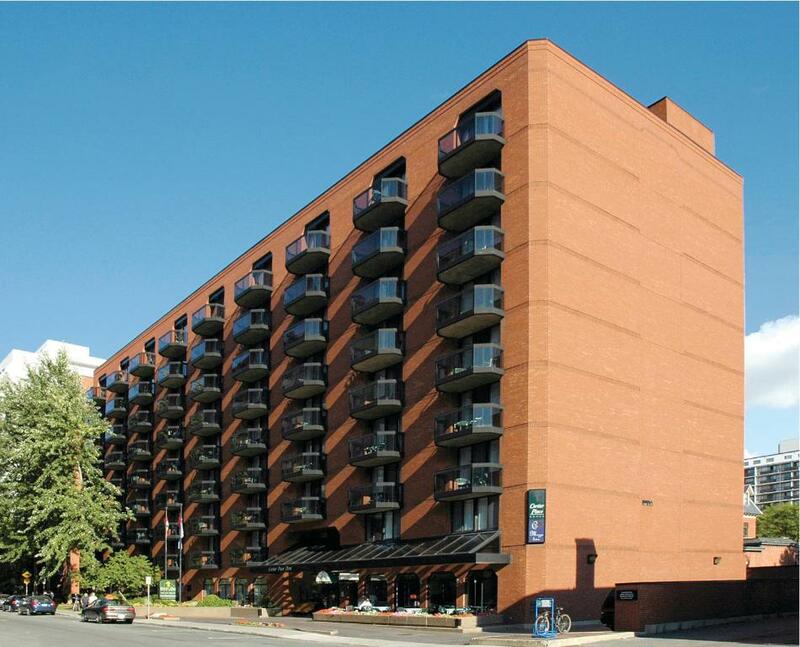 Parking was VERY expensive (and cramped) relative to market value in downtown Ottawa. Cleaning staff relatively slow to get room clean. Pretty easy and quick check in. There really wasn’t anything that I didn’t like. The lighting could be brighter, Water drained out if the sink. Staff were very friendly and helpful. Pool was nice. Cleaning is to be improved. Bed sheets were not taken care of the second night at all and the first night strangely done. 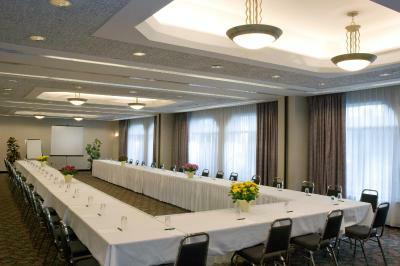 The location in Ottawa was perfect. Parking lot is awful. They do not explain things such as parking instructions and policies (not that we had policies issues really, but normally when I've stayed at others hotels they explain everything at check in, give you directions and tell you what floor you are on, but not here. Also not a deal breaker but the Beds are not comfortable at all and it is a very outdated hotel. There was this 1 man I wish I got his name but he has worked there for years he said. He found us going up wrong elevator (as nothing was explained to us) asked us which room then explained to us directuoms and even walked us to the right place and told us exactly where our room was. They need all there employees to be like this. Give him a promotion as he was the only one who cared there. The pool was nice clean and quiet. Lots of towels which was nice not to have to worry about using a wet towel over and over. 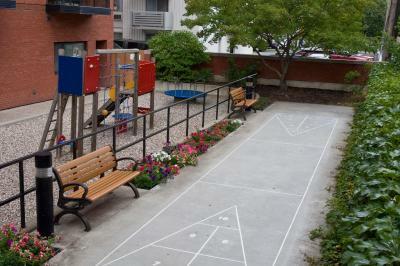 Convenience of location and quiet street. Suite was set up like small apartment. The hotel is a bit dated but it still serves a purpose at a reasonable price. It would be nice to have high definition tv. The space in the suite. Close to restaurants. It was very clean and the beds were comfortable. The hotel restaurant could’ve been more vegan friendly. Very inviting and cozy room. Extremely quiet. Beds were comfy as well.